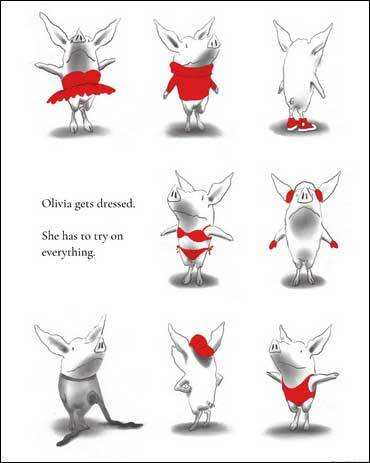 Olivia is an intense, energetic pig who wears herself and others out with her over-the-top activities. She's always on the move, going from one big project to the next, even at bedtime. This is one irresistible little pig! Young children will see themselves in this energetic little darling. 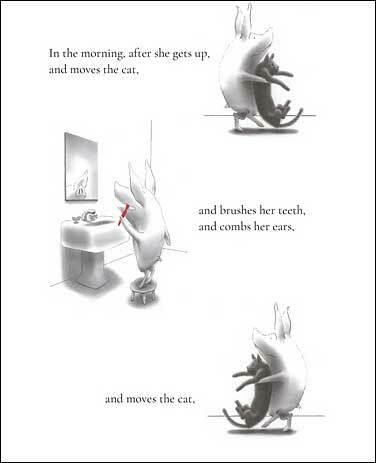 The premise is so simple but the end result is so magical that you know this is one talented author/ illustrator. 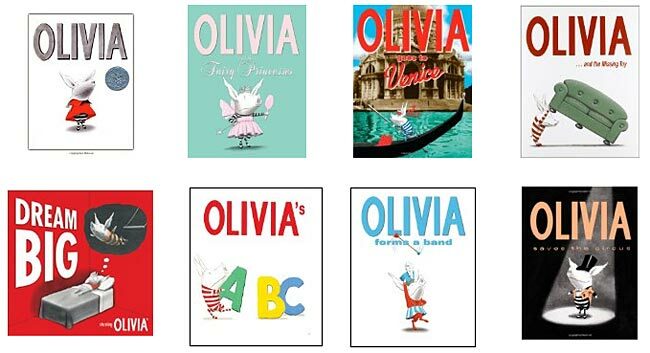 Simple line drawings (with spots of red) ensures Olivia's larger than life personality takes center stage. 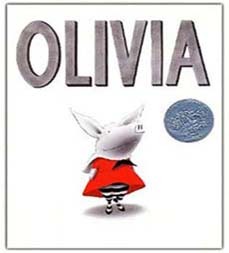 If you end up loving Olivia, you'll be delighted to know that this is just the first in a whole series. In our opinion, however, this is the best of the bunch! This book has won some children's book awards, most notably the Caldecott Honor in 2001 and the Parent's Choice Gold Award in 2002. Below are sample pages from inside this book. Olivia is such a cutie!! !